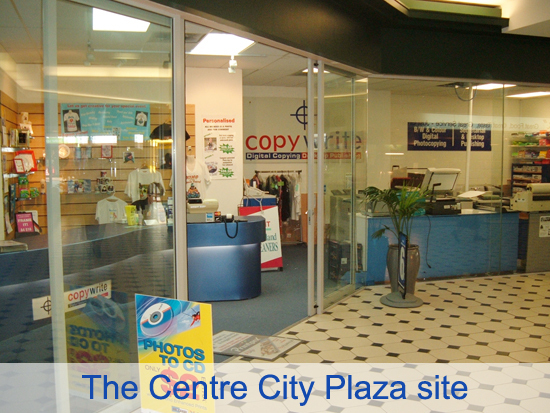 CopyWrite – a business displaying professionalism and integrity. With the country under going huge changes under ‘Rodgernomics’ Graeme & Cheryl started a secretarial business in the late 80’s with trepidation and also excitement on a new venture together. 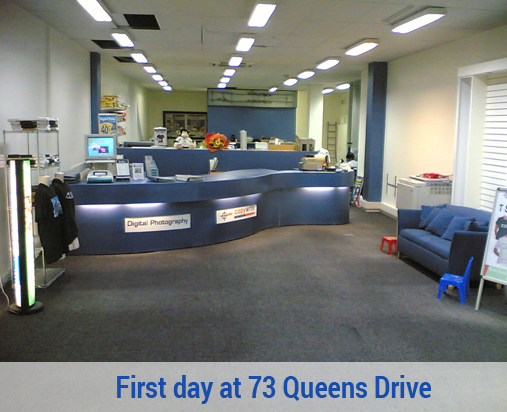 Our business started upstairs at 115 high Street, with 1 PC & a B&W printer. 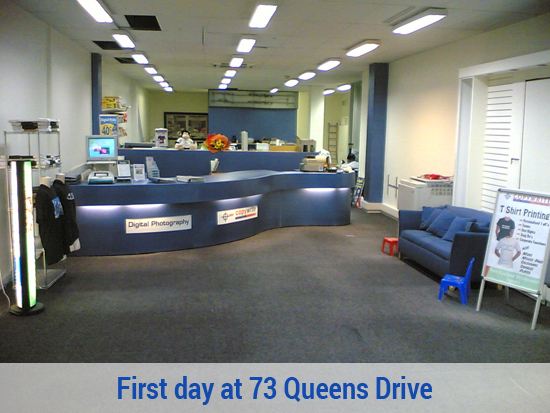 Pounding the pavement drumming up work, we added a b/w photocopier with a ‘Spot’ colour and a 2nd laminating machine. 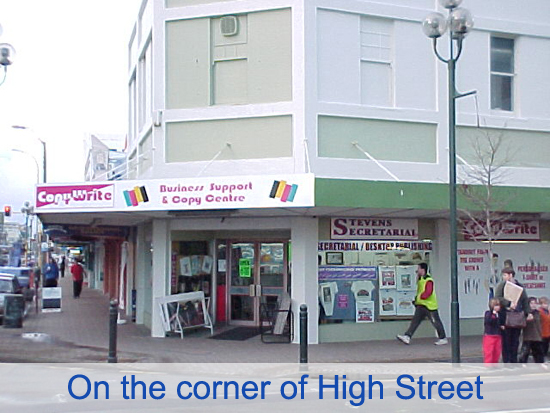 It was a pretty small start but ‘word of mouth’ soon grew the workload to where we were able to move our business from an upstairs small office to a much larger shop on the corner of High Street and Laings Road where we stayed for 18 years. Over this time our business expanded, our business name changed from ‘Stevens Secretarial’ to ‘CopyWrite’ showing our more diverse range of services being offered. Full colour printing, large format printing, T Shirt printing, personalised gifts – mugs, mouse pads etc were additional services being offered. Our son Greg joined our staff in early 2003, making it a family business, and has gained extensive knowledge in the print arena and is now a key person in our operation. Our building was sold and upgraded requiring us to find a new site. 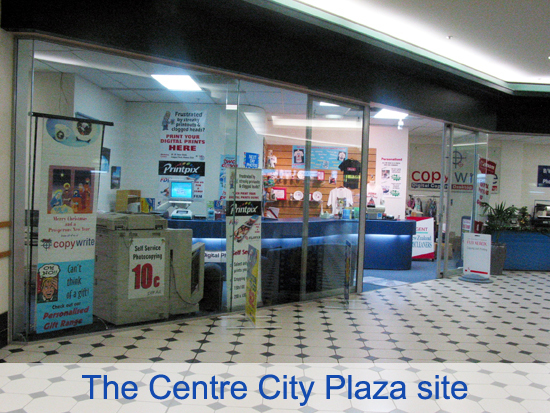 The Centre City Plaza became our new home for the next 3 years then in mid 2007 to our current premises at 73 Queens Drive, Lower Hutt where we have a much larger work space for our operation and display of products. We have always been Innovative in our thinking looking at the market and where trends are going and have grown our business in these areas to meet the needs of our clients. We believe in Customer Service and have built our business on this principal going out of our way to ensure work is completed within a client’s deadline and to a professional standard. We really look forward to being of service to you. If you cannot find the information you need, please email us. Ready to get started? Click here for a quick quote!